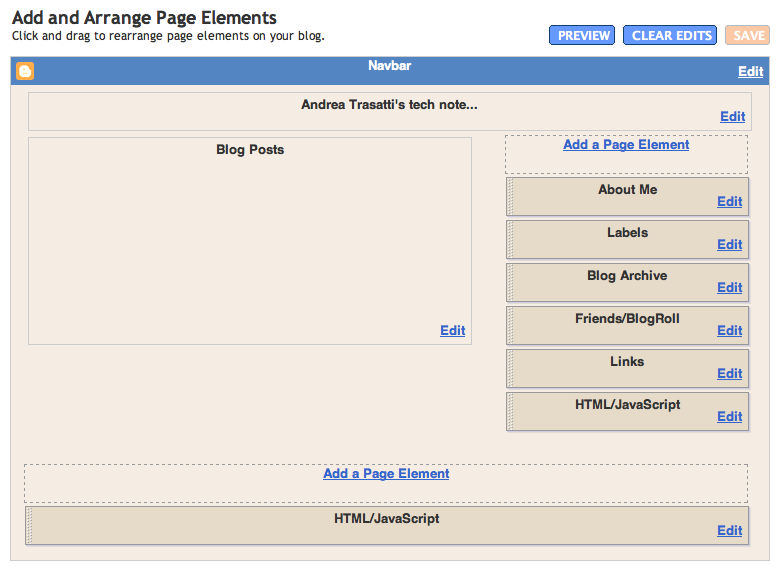 I’m pretty happy of the move to the new Beta of Blogger. Nothing to regret. Anyway, I just love the ability of moving blocks up and down dragging blocks within the browser. Sometimes this makes me think of when we used to write pages with notepad with HTML 3.2, gray backgrounds, <hr> to separate sections and that was it. 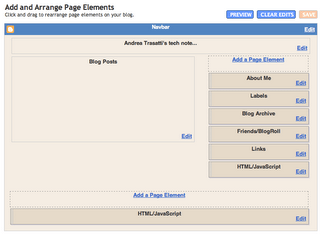 Very nice the ability to edit links to external pages with a guided menu. All these features were really needed! Labels are added manually, filling an text field. After you have at least once, while typing you get suggestions. Very useful to avoid typos! How much do I love suggestions while typing? A LOT!